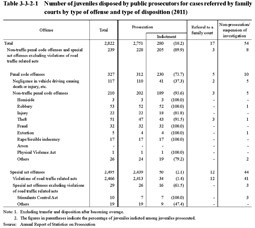 Table 3-3-2-1 shows the number of juveniles disposed by public prosecutors for cases referred to public prosecutors by family courts (in accordance with Article 20 of the Juvenile Act) by type of offense and type of disposition in 2011. 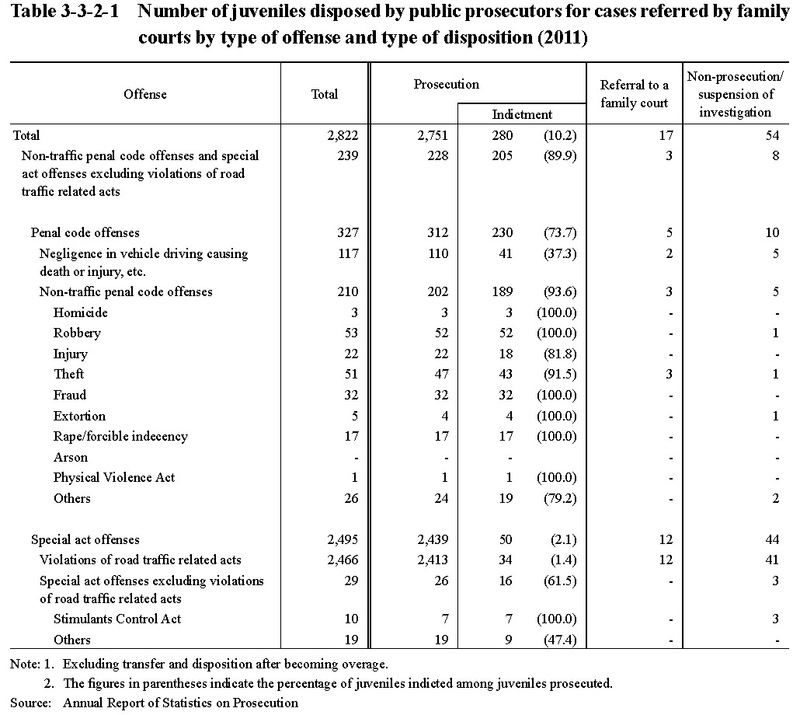 97.5% of juveniles in those cases were prosecuted and 10.2% of whom were indicted, with the reason for the percentage being so low that cases for violations of road traffic related acts accounted for approximately 90% of the total number of those cases and a summary order was requested for most juveniles (98.6%). With non-traffic penal code offenses and special act offenses excluding violations of road traffic related acts, 89.9% (93.6% of non-traffic penal code offenses and 61.5% of special act offenses excluding violations of road traffic related acts) were indicted.